Beaterblog: How Many Cambodian Flood Cars Can You ID? 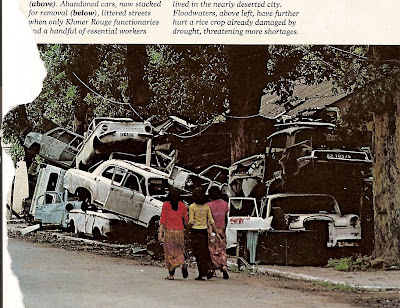 Forcefully torn from this 1970's issue of National Geographic is this shot of a massive pile of Cambodian flood cars. Either Khmer Rouge requires water soluble paint or has an inexplicable affection for white cars. How many makes and models can you spot?